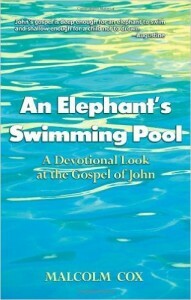 Here’s the link to my book, “An Elephant’s Swimming Pool“, a devotional look at the Gospel of John. You can also find it here on Amazon, or buy direct from me. Just drop me an email, mccx@mac.com.